This short novel had only been published for one year before John Wayne appeared in a film version of it in 1969. Except for the ending, the book reads like a script for the movie, offering just a little more information and character depth than you can get from watching the film. 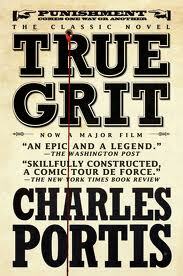 I enjoyed reading it very much and am looking forward to reading more books written by Portis.